The Ayres Group has been on the clientele list in Cyrus Company history for two decades. 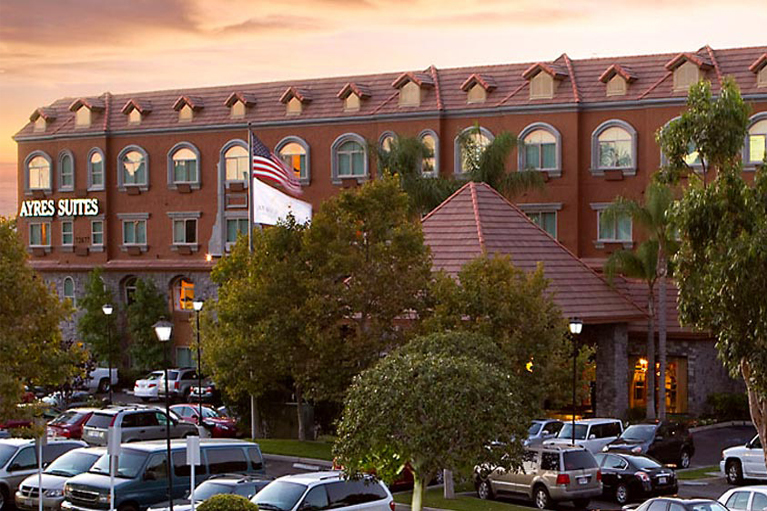 We are privileged to work with this family owned hotel chain in California. The relationship began with a few simple additions to add charm and interest to existing hotels. 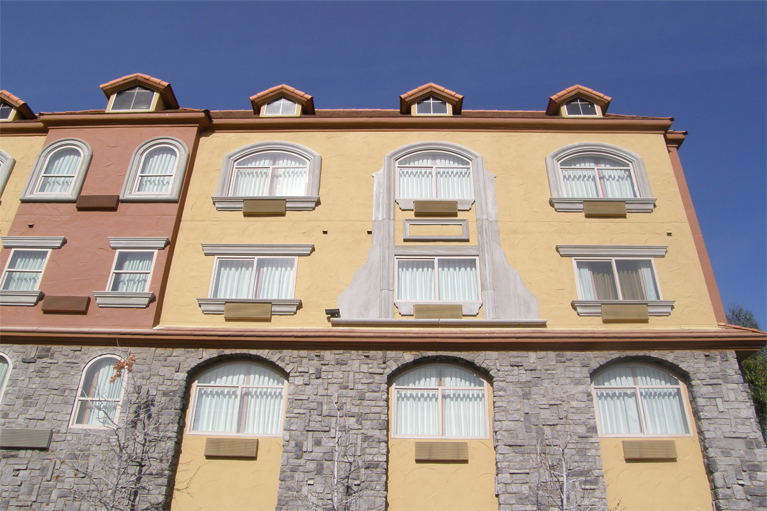 Over the years, Cyrus Company has participated in complete remodels of older hotel facades, then later working closely to develop design concepts for new construction of complete theme based resorts. The Renaissance Resort located in Hawthorne features intricate interior details for the entrance and lobby as well as the grand exterior. We have also worked on Ayres Hotels located in Costa Mesa, Orange, Seal Beach, Yorba Linda, San Clemente, Corona and Ontario Airport. This project required a plant on foam detail with a custom cut out designed to cover existing 2 X 6 wood framed stucco window surrounds. The result was long lasting, weather safe, economical, and yet gave the elevation a stunning European elegance.